With 25 percent of all Occidental students playing on one of the school’s 21 athletic teams, each spring teams say goodbye to a substantial number of Tigers. Three athletes who will be saying their farewells in May are Claudia Oppermann (senior), Austin Lee (senior) and Austin DeWitz (senior). As all three athletes prepare for graduation, they all agree the friendships they have formed with their teammates have been the highlight of their careers. Oppermann, who is from Fallbrook, CA, is a utility player and team captain of the water polo team. She decided to join the water polo team in high school after competing on the swim team for a few years. 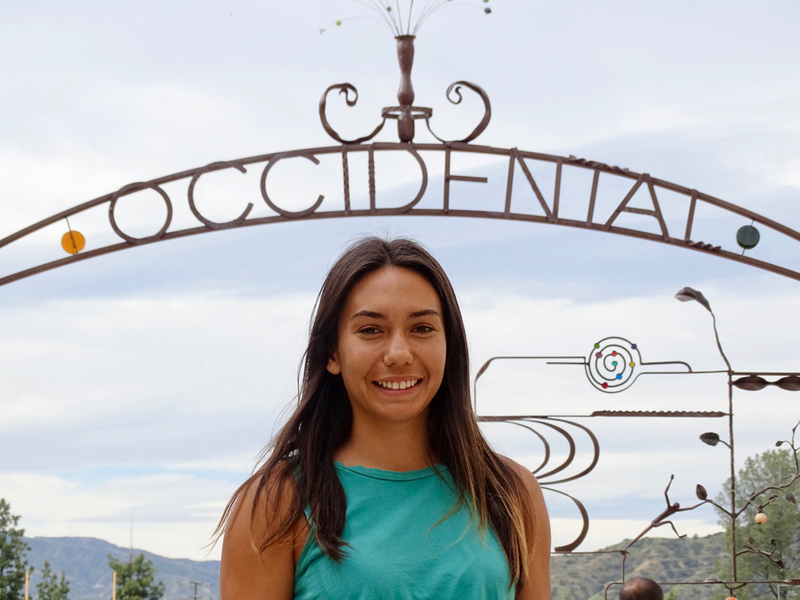 Unsure about what she wanted to do past high school, Oppermann was drawn to Occidental because she had the ability to play water polo without it having to be her number one priority. One of Oppermann’s favorite college experiences was spending the fall of her junior year abroad in Alicante, Spain, where she learned Spanish and studied Spanish culture and history. Starting in 2015, Oppermann has seen the team grow and evolve in multiple facets. As first years joined the team each fall, the upperclassmen have had to step up as role models and leaders, according to Oppermann. Over the last two years, she has seen the team become more focused with stronger direction and energy. “Because there are a lot of younger players, I think me and Lori [Berberian] and Monica [Chernoff] — our only two juniors — have really set the tone to show them how things work on the team,” Oppermann said. According to Oppermann, part of what has made her experience so great are the other women she has played with over the last four years. Although she is the only senior this year, her past and current teammates have become some of her best friends. Oppermann’s favorite moments from her water polo career are traveling with teammates to the away games. Davis, CA, San Diego and Pittsburgh, PA, are three of the places the team has traveled to during Oppermann’s career. She will be saying goodbye to her teammates in a few short weeks. She hopes to stay connected by coming back to watch future games, especially since she plans to stay in LA. As she leaves, Oppermann hopes her teammates and future Occidental water polo players remember to have fun and be present. She is grateful for the opportunity she’s had to be an athlete at Occidental and hopes all future members of the team do not take that for granted. Lee is a member of the men’s soccer team and has been playing soccer since the age of 8 in Rancho Santa Fe, CA. His parents signed him up for soccer and quickly realized he had great potential, according to Lee. During high school, Lee said he played on a club team and his varsity team all four years. 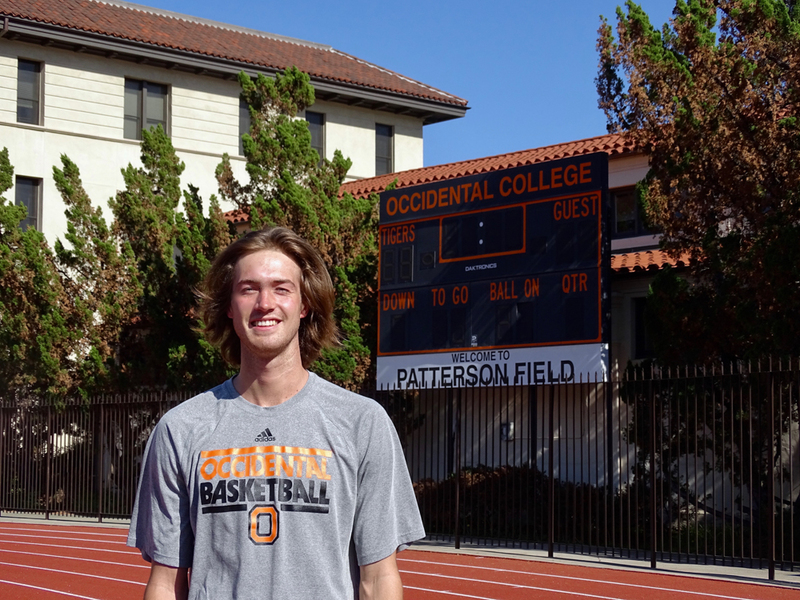 Looking toward college, he knew soccer was something he wanted to continue, and Lee said an NCAA Division III school like Occidental was the perfect place for him to do that. “I wanted to continue playing soccer because it’s such an integral part of my life throughout all the years, and I just wanted to continue and play at a higher level,” Lee said. Much like Oppermann, the relationships he’s formed with his teammates over the years have been one of the highlights of his college career. 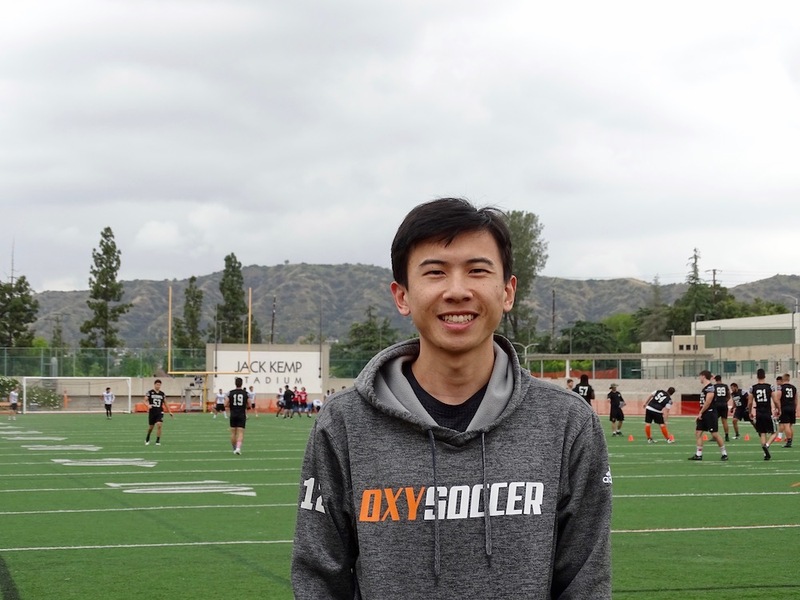 According to Lee, the soccer team at Occidental has a much tighter bond than other Southern California Intercollegiate Athletic Conference (SCIAC) schools. Thinking back to his first year, another important moment was scoring his first collegiate goal. 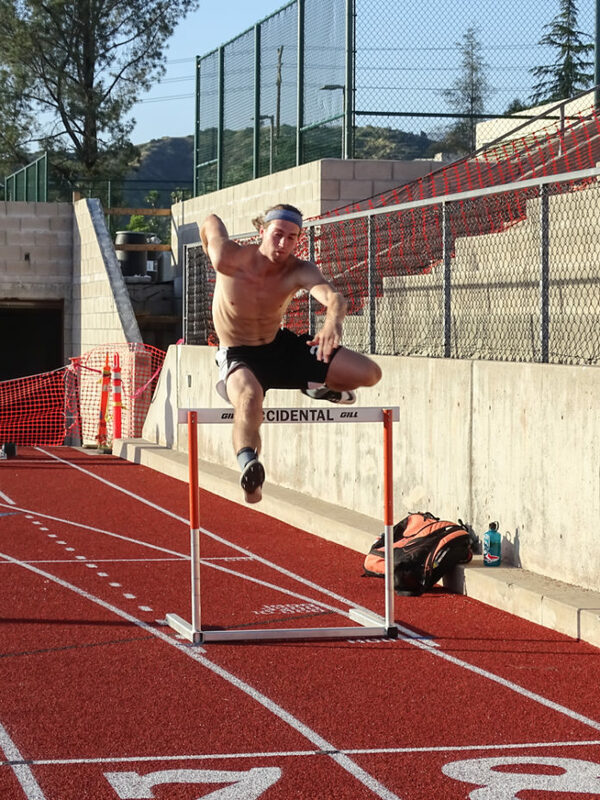 Over his four years at Occidental, Lee has seen the team and its members grow and gain more confidence in their abilities. From a rough first year to making the SCIAC championship finals his senior year, the team has realized its potential, according to Lee. Although it was a lot of work for the team to improve, Lee said the hardest moments were the most rewarding. Whether it was waking up early for morning practices or having to run a lot, it all made the winning worth it. While he plans on taking a short break from soccer, Lee hopes to return to playing soccer recreationally in the future and hopes it will be a great way to meet new people with a similar passion. Lee said he will miss being around the team every day but is excited to follow the future of the Occidental men’s soccer team. After starting to play basketball at a very young age, Austin DeWitz added track and field into his athletic repertoire during his first year of high school. From Oregon City, OR, he has spent the last eight years participating on two athletic teams every school year. Having the opportunity to continue both sports at a small school like Occidental was really exciting, according to DeWitz. DeWitz shared that the friendships he has formed on both the varsity men’s basketball and track and field teams have been rewarding. Being able to have not just one, but two teams he belongs to has been very gratifying, according to DeWitz. DeWitz was captain of both teams his junior and senior years. The basketball team ended their 2016–2017 season with a 14–11 finish, but have improved to finish this past season with a 22–5. While his first two years on the basketball team were mediocre, according to DeWitz, they were able to work hard and improve to make the SCIAC playoffs the last two seasons and the SCIAC championship final this year. Although they lost the final SCIAC game, seeing how much the program has grown was a highlight for DeWitz. Losing a player with a career shooting percentage above 50 percent will be a loss for the team, but DeWitz said it gives younger players the opportunity to step up. DeWitz said he will continue to stay in touch with all of his teammates. As he says goodbye, DeWitz said he wants all his teammates and future Tigers to remember to work hard but to enjoy it as much as possible and have fun.